A colourful A4 sheet featuring a variety of fun activities linked to the well-loved children’s story Rosie’s Walk. 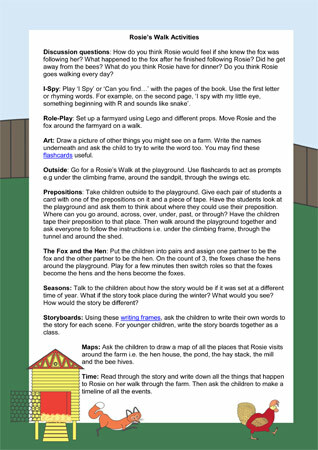 This resource includes ideas for arts and crafts activities, story writing projects and lots more. We also have a very extensive section on the site devoted to Rosie’s Walk, which you can find here.